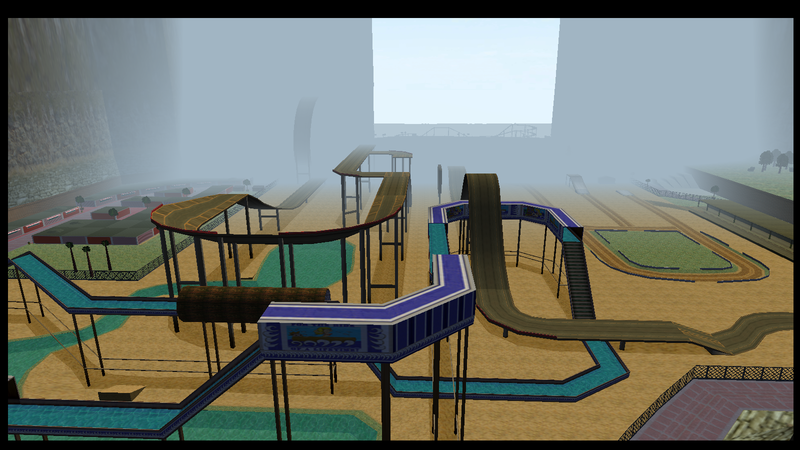 The first original carmageddon map. 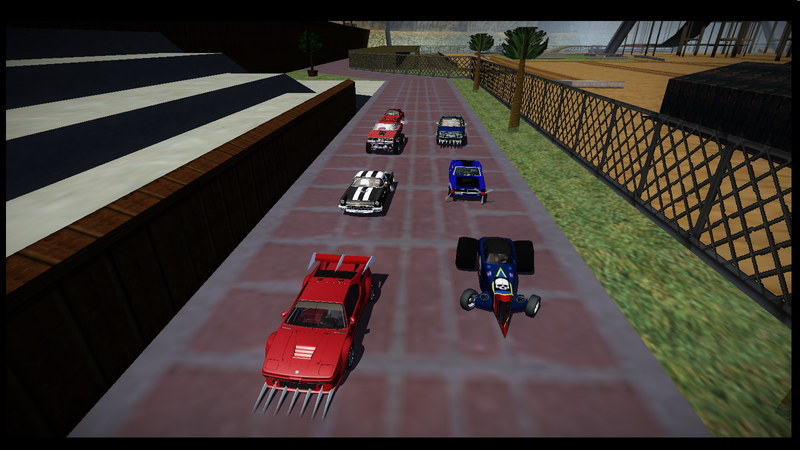 Mr. Jolly Fairground, map of Carmageddon 2, with bots followers (is the most aggressive I could achieve). The map uses 6 bots that try to aggressively follow, the faster you go you will do more harm (if they are close to you and you move slow only follow you). These bots are a little silly remain locked up easily. The car is used by bots "Nonus", this can cause errors if you do not have that car. 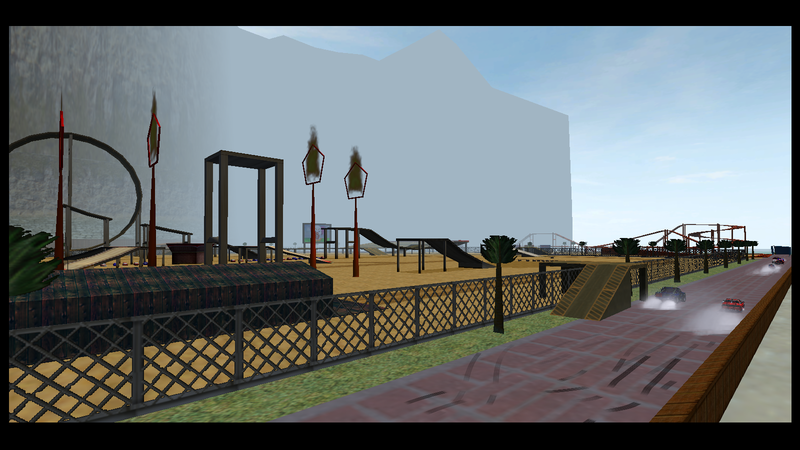 You can make your car then appears on the map if you saved with one of the following name: funfair1, funfair2, funfair3, funfair4, funfair5, funfair6 . Crashing into fences strongly there may be problems. Having so many cars on the map can cause the destruction of the world. There are errors in the textures (glasses are not transparent for some strange reason and need a little texture close cold place). Some posters on one side not seen. Not reupload without my authorization. It is my first map. 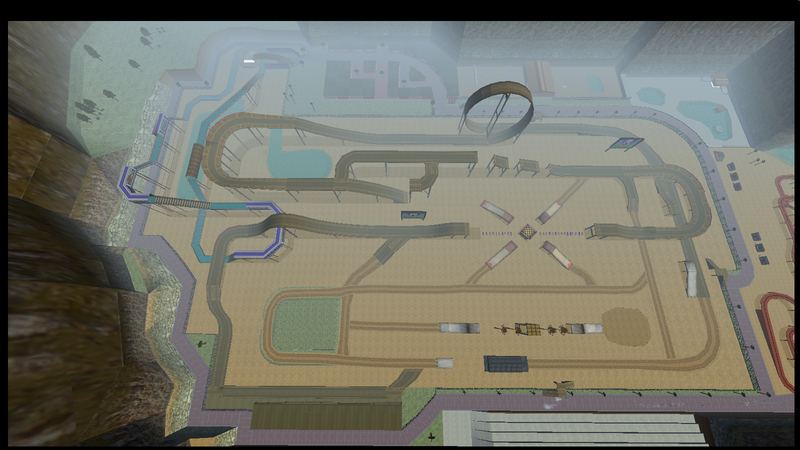 Fun and try to complete a lap on the track with 360 rotation. Thanks to Sterling for helping with the texturing. 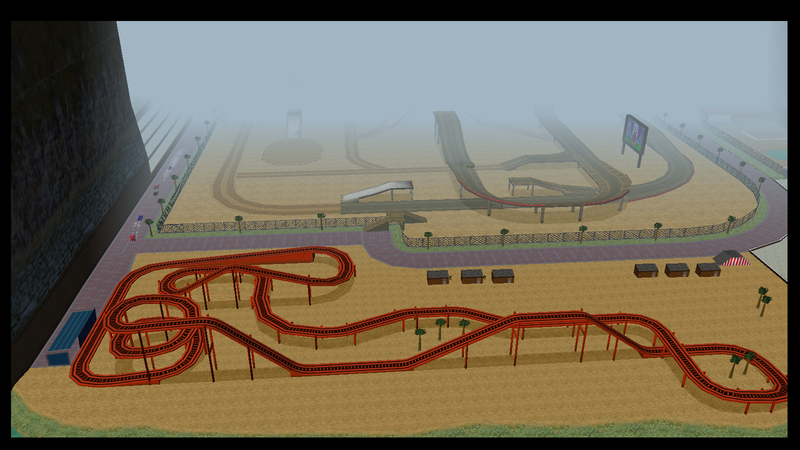 Thanks to Miran to create the Track Wizard tool.